Allan Bartlett over at Powder Blue posted two mailers he recently got a hold of (see below), one from Jesse Petrilla running for the 73rd Assembly District, and one from Lisa Bartlett running for OC Supervisor in the 5th District. Bartlett maintains that the Petrilla mailer is deceptive because it contains a quote from OC GOP Chairman Scott Baugh and the OC GOP logo, implying that the party has endorsed Petrilla, which it has not. 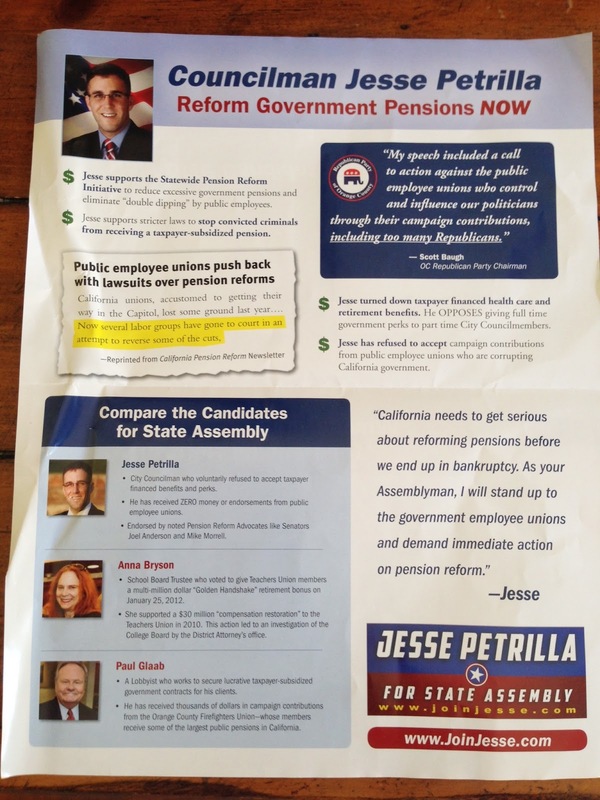 The quote, which addresses the influence of public employee unions, is prominently displayed at the top of the mailer in which Petrilla purports to advocate for reforming government pensions. In a comment on the Powder Blue posting, Mission Viejo activist Larry Gilbert, a Petrilla supporter, disagrees and states that the quote simply connects Chairman Baugh to the OC GOP. 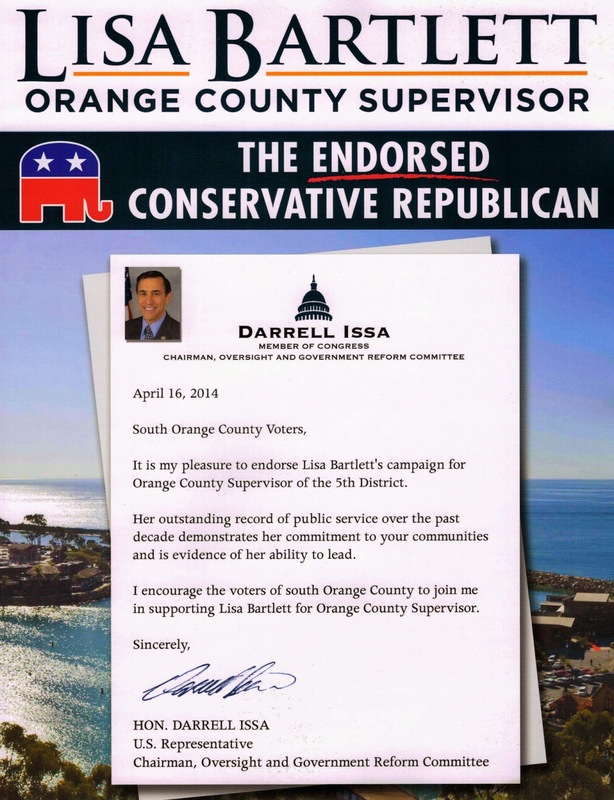 The OC GOP only allows endorsed candidates to use the party’s logo. Petrilla is not endorsed by the OC GOP, and he did not ask for permission to use the party logo. Also interesting is that Petrilla’s mailer includes a comparison between Petrilla and two other candidates, Anna Bryson and Paul Glaab. Petrilla attacks Bryson and Glaab as beholden to the unions. However, Petrilla omits a third major candidate, Bill Brough, from the mailer (for full disclosure, I am supporting Brough in the 73rd). That raises the question of why Brough was omitted. Is it because Petrilla cannot attack Brough on union issues, is it because Petrilla sees Brough as his biggest threat and he does not want to give Brough any extra publicity, or is it for another reason? Inquiring minds want to know. 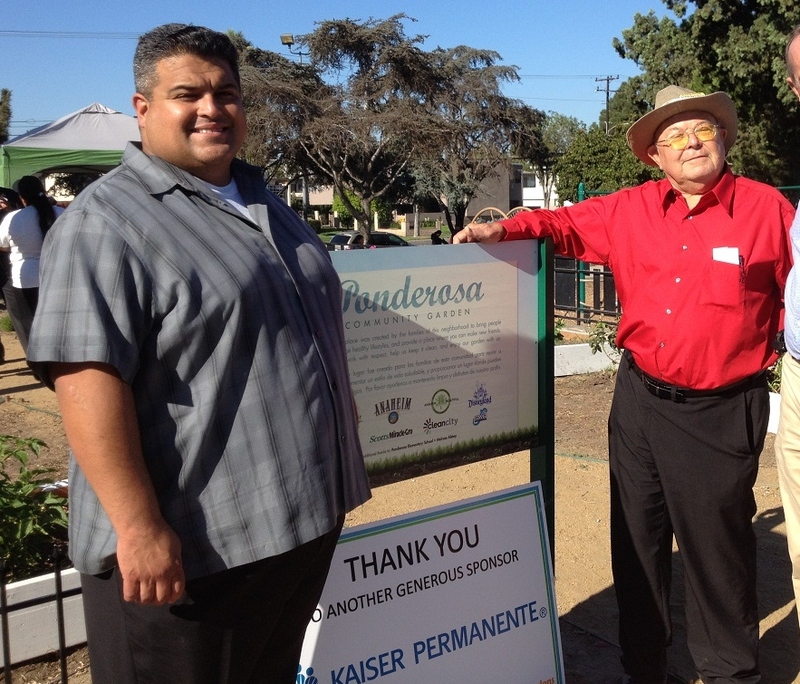 Both the 73rd AD and 5th District Supervisor races appear to be close. It remains to be seen whether these mailers and their statements will have any negative impact on either Petrilla or Bartlett, or they are relegated to inside baseball status like so many other of these issues. We are less than three weeks from the June 3 direct primary election, and it seems that the candidates are ramping up their mail and their message. It should be a fun election season! On September 17, the Republican Party of Orange County Central Committee voted to endorse Lucille Kring for Anaheim City Council. Three months earlier, on June 20, Kring accepted a $500 contribution to her council campaign from the Anaheim Police Officers PAC. It can be seen on page 4 of her January 1-June 30 campaign disclosure. This is a violation of the “Baugh Manifesto” that has governed OC GOP endorsements in non-partisan elections since 2010. This policy stated that, on a going forward basis, the OC GOP shall not endorse any candidate who has taken campaign contributions from a public employee union. This has been a controversial policy and the subject of much media attention. There is no way Lucille Kring could have been unaware of it. She was planning to seek the OC GOP endorsement, and still took the police union’s money. So how did the OC GOP miss that? Or did they know and endorse her anyway? The OC GOP has refused to endorse other candidates for the same offense. Two years ago, the party stripped Costa Mesa Councilmember Wendy Leece of her endorsement over a similar union issue. If the Baugh Manifesto is to have meaning, then the OC GOP needs to rescind its endorsement of Kring, otherwise the lesson for other candidates will be you can play games with the unions and still get the OC GOP nod as long as you can hide it long enough. Chris Nguyen’s account of last night OC GOP Endorsement Committee meeting makes it sound like it would have been a fun one to watch, especially the chutzpah of some of those doing to talking. “Take Back Anaheim” was a ballot-box budgeting initiative under which the City Council would cede to the voters its authority to make a very specific spending decision regarding hotel bed tax money. So very conservative. It was funded by $66,000 from the OCEA, and led by left-wing Anaheim Councilwoman Lorri Galloway (who last month was trying to ban circus animals from Anaheim). Almost all of the OCEA’s $66,000 went to Whitacre, as you can see on Page 3 of Take Back Anaheim’s mid-year campaign report: note the $61,000 payment for petition circulating, which is Whitacre’s business. Nice that Whitacre’s so concerned about spending the OCEA’s money well. So until a few weeks ago, Tim Whitacre is working for a left-wing Democratic politician’s initiative and being paid by the county’s biggest public employee union. And he’s questioning Lodge has an inappropriate relationship with unions? Kring cites Lodge’s contribution to a Democrat as a reason for opposing him, but supports Brian Chuchua, who donated in 2010 to John Santoianni, a liberal Democrat running for Anaheim City Council (because he was “curious” about Santoianni). That must be an OK reason to give to a Democrat. Leos is the union’s anointed candidate. The OCEA spent more than $200,000 for Leos’ 2010 council run, spent almost $100,000 in 2011 on mailers promoting Leos, and will surely pull out the stops for him this year. According to Chuchua’s reasoning, this picture ties Chuchua to Leos and his union backers, so Chuchua needs to inform OC GOP Central Committee members about his suspect ties to unions at the next meeting. It looks like OCEA directly hired Whitacre to set up the Take Back Anaheim campaign operation, and Whitacre was subsequently paid through the Take Back Anaheim committee.